Ibrox tie for Bairns while Hibs and Aberdeen face difficult away ties to SFL opposition. 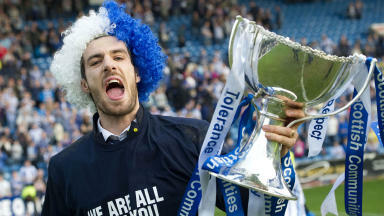 Falkirk will travel to Ibrox to face Rangers in the Scottish Communities League Cup second round. Steven Pressley’s side, semi-finalists last year after beating Rangers 3-2 at home before falling to Celtic at Hampden, will take on Ally McCoist's team after the draw was made at the national stadium on Thursday. SPL clubs Hibs and Aberdeen face tough away trips in the draw. Pat Fenlon will take his team to Dumfries to face Queen of the South, while the Dons travel to play Morton in Greenock. 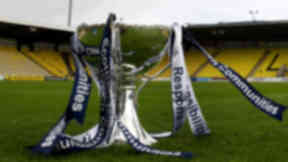 Raith Rovers go north play SPL new boys Ross County, while Dundee go to Hampden to take on Queens Park. Meanwhile holders Kilmarnock take on Second Division side Stenhousemuir at Rugby Park. The ties will be played on the 28th and 29th of August.